I’m still deciding whether “folk-electronic” is the proper pseudo-genre or label for the sound and experience which I’m trying to convey in this article- but let’s run with it. I would argue the first track which exemplified folk-electronic for me personally was TEED’s Garden: an absolute masterpiece. Follow up work’s include Verzache’s Losing My My Love and the entirety of Thalab’s “A Good Swim”. Note the disparity in these examples, they don’t sound the same upon first listen but they share a cadence and energy which is ever-present even if you have to look for it… an invisible aesthetic. So how does Mija and her cover of Venezuelan American singer-songwriter, Devendra Banhart, play into things? Bass driven sets, ruthlessly dyed hair and an affinity for both club and street culture don’t point to the image of a traditional folk artist- a long dirt road and a piece of wheat between one’s front teeth feels a bit more on point. After a quick use of the google, I smiled upon finding the original definition of “folk content” goes as far as to insinuate an unknown author or origination- a concept which walks the line of romantic and unrealistic in today’s industrialized landscape. With all that in mind, remember we are discussing folk-electronic music and those making it or perhaps still conceptualizing it: the folk artists of the contemporary music landscape. Mija’s cover and the visuals which fuel a brief narrative are an homage of sorts to an established force in the Chicano-American space. Her reimagination of the 2005 release off the album Cripple Crow is only a minute and a half long as opposed to the original 3 minutes and 21 seconds but it packs a similar punch and leaves the listener craving more. “Come on K… So how is it folk, K?” She takes that what already exists, that what is familiar, that which you know and gives it back to you in a way which is so perfectly tangled that it makes the known feel new. 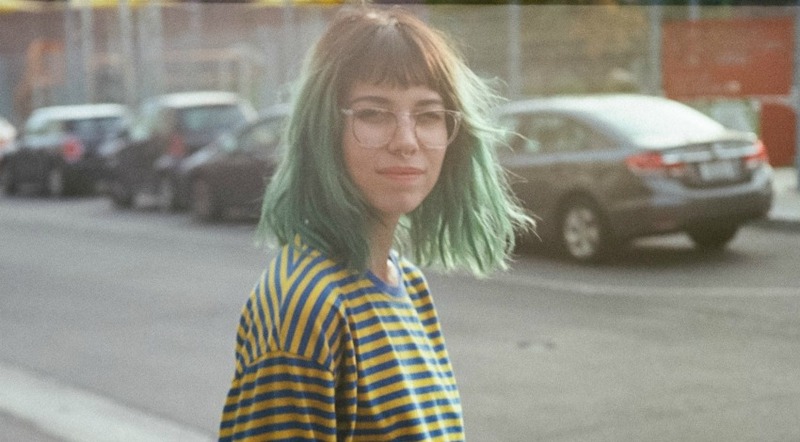 This is a perfect transition from Mija’s early sets in which she would blend indie music with Drum and Bass with a unique sample overlayed so seamlessly that the ingredients lose meaning to the combined result. The materials, sound and energy are familiar- even the toy piano and glitchy television scream ‘remember me’ in the video- and yet they are morphed into something of her own. Her voice- the best it has sound to date- and the dialogue which precedes the performance parallel the forgotten and anonymous musician in a folk-club who unknowingly puts his touch on things as he takes a sip of his drink mid-song. Why include the clip of error? To prove it’s real, to prove she’s real- almost an impossible task to achieve on any digitized media platform. Perhaps this is why only folk-electronic artists can exist in the current landscape and not the googlable definition of a folk-artist. At least in Los Angeles, it feels impossible to be a nobody or anonymous as nobody feels quite real to begin with… In her last visual release, Dead Flowers & Cigarettes, Mija hinted and simultaneously proved that thing’s would be taking a sharp turn for the real and that she would be growing into a much more refined artist. Pave the way Amber, we’re excited to see you do it and watch the masses follow- cue metaphor backed by the repetitive glitching seen at the end video which could inspire another 3 paragraphs had I not written too much already.